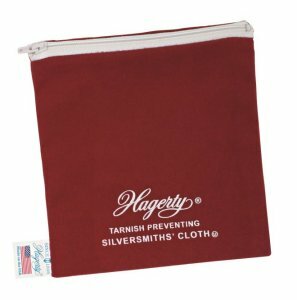 Hagerty Silversmiths' Polish - Case of 24 - 4 fl. oz. ea. 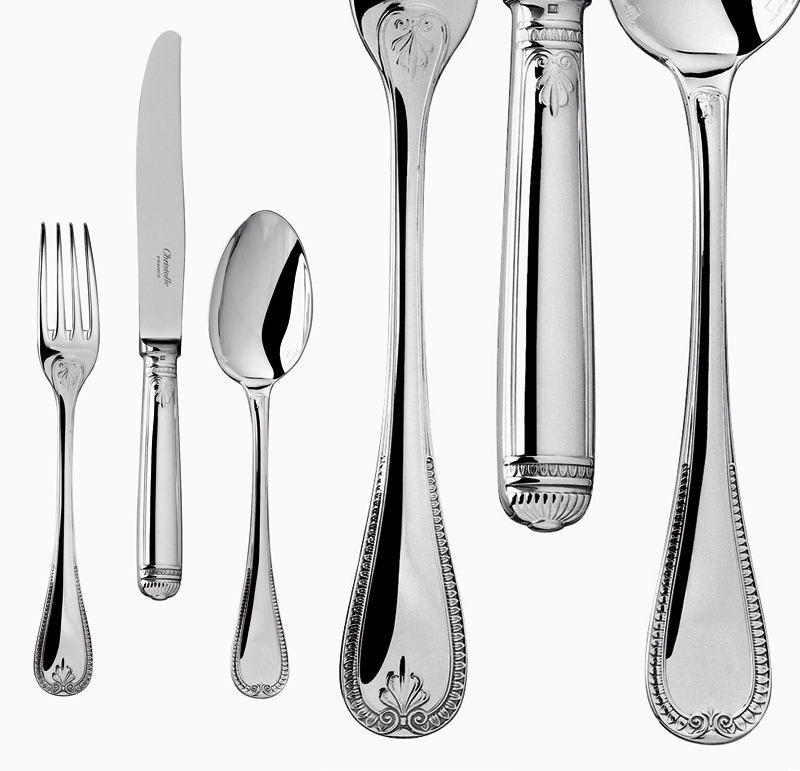 Hagerty Silversmiths' Polish - Case of 12 - 8 fl. oz. ea. 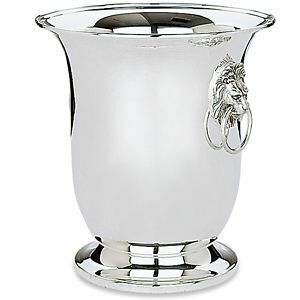 Hagerty Silversmiths' Polish - Case of 12 - 12 fl. oz. ea. 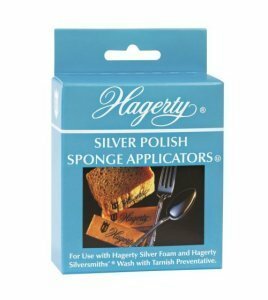 Hagerty Silver Foam - Case of 24 - 4 fl. oz. ea. 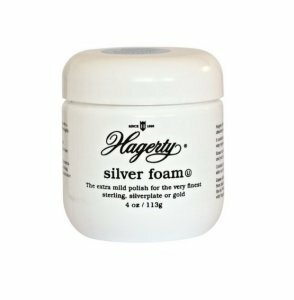 Hagerty Silver Foam - Case of 12 - 8 oz. ea. 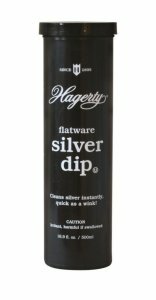 Hagerty Silver Foam - Case of 12 - 19 oz. ea. 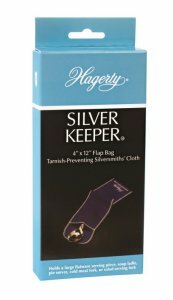 Hagerty Silver Foam - Case of 6 - 36 oz. ea. 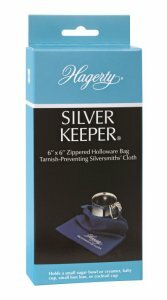 Hagerty Silversmiths' Wash - Case of 12 - 8 oz. ea. 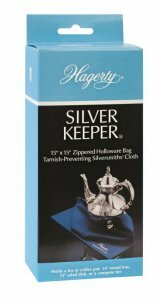 Hagerty Silversmiths' Wash - Case of 12 - 19 oz. ea. 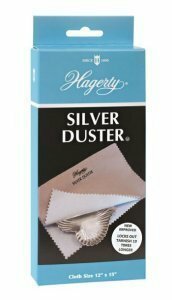 Hagerty Silver Duster (2 pc. 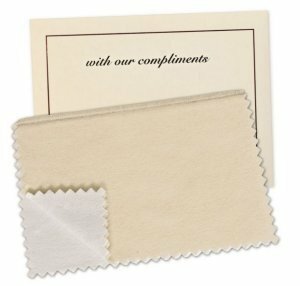 Polishing Cloth) - Case of 12 - 12" x 15" ea. 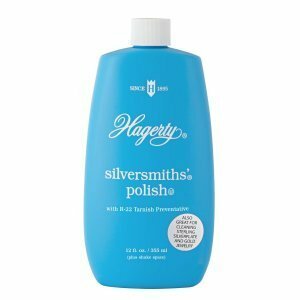 Hagerty Silversmiths' Spray Polish - Case of 12 - 8 oz. ea. 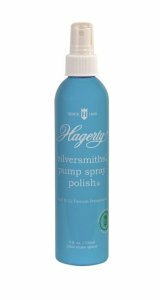 Hagerty Silversmiths' Pump Spray Polish - Case of 6 - 8 oz. ea. 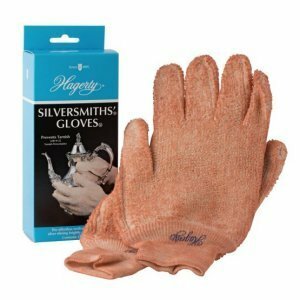 Hagerty Silversmiths' Gloves - Case of 12 - 1 pair ea. 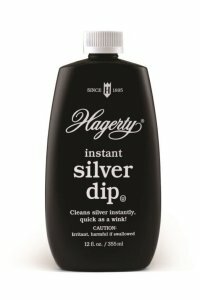 Hagerty Instant Silver Dip (Crystal Blue Formulation) - Case of 12 - 12 fl. oz. ea. 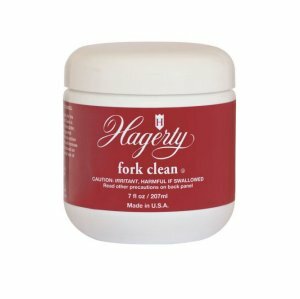 Hagerty Fork Clean (Crystal Blue Formulation) - Case of 12 - 7 fl. oz. ea. 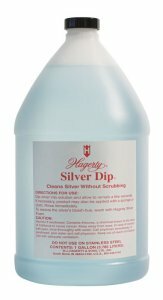 Hagerty Silver Dip (Crystal Blue Formulation) - Case of 4 - 1 gallon ea. 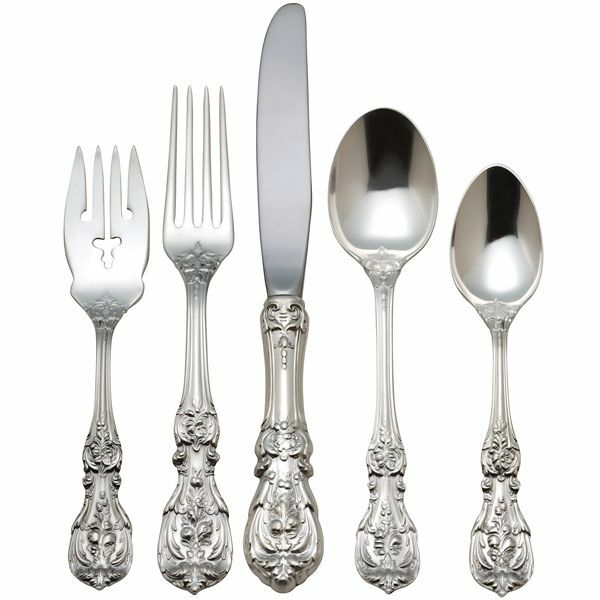 Hagerty Flatware Silver Dip (Crystal Blue Formulation, Basket Included) - Case of 6 - 16.9 fl. oz. ea. Hagerty Sponge Applicator - Case of 12 - 4 pack ea. 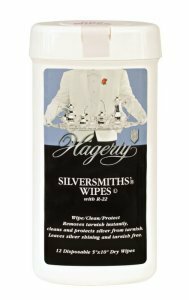 Hagerty Dry Silversmiths' Wipes - Case of 12 - 12 (5" x 10" Wipes) ea. 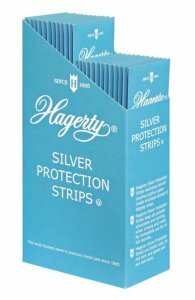 Hagerty Silver Protection Strips - Case of 24 - 8 (2" x 7") Strips ea. 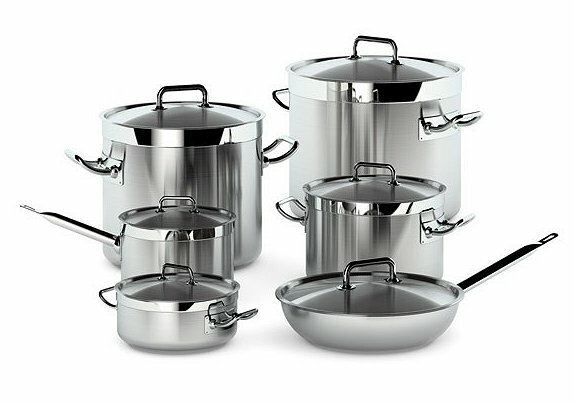 Hagerty Silver Care 4 Pc. Package - Case of 6 ea. Hagerty Jewelry Foam (with aerosol dispenser) - Case of 12 - 3 oz. ea. Hagerty Jewelry Foam (with pump dispenser) - Case of 12 - 2.5 oz. ea. 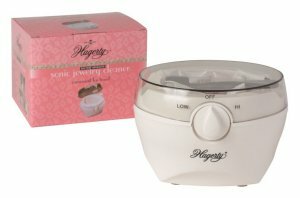 Hagerty Jewel Clean (Wide-mouth opening, basket & brush included) - Case of 12 - 7 fl. oz. ea. 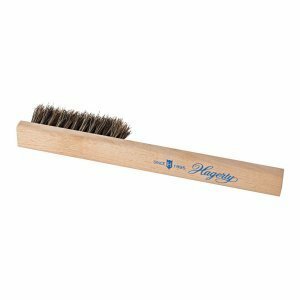 Hagerty Jewel Clean (Wide-mouth opening, basket & brush included) - Case of 12 - 4 fl. oz ea. 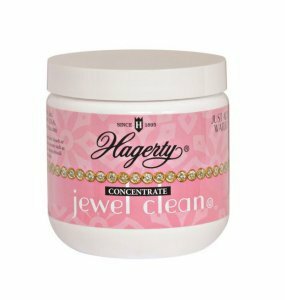 Hagerty Jewel Clean Concentrate (Wide-mouth opening, .5 oz. concentrate sachets, basket & brush included) - Case of 12 - Makes 7 fl. oz. ea. 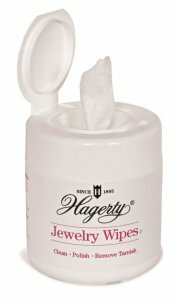 Hagerty Jewelry Wipes ( 5.5" x 7.9" wet wipes) - Case of 12 - 20 wipes ea. 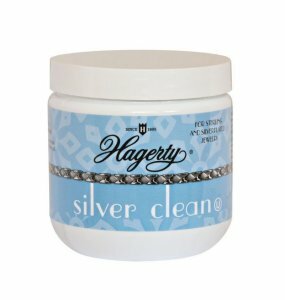 Hagerty Silver Clean (Wide-mouth opening, basket & brush included) - Case of 12 - 7 fl. oz. ea. 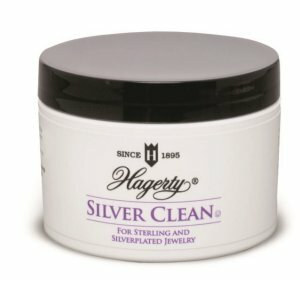 Hagerty Silver Clean (Wide-mouth opening, basket & brush included) - Case of 12 - 4 fl. oz ea. 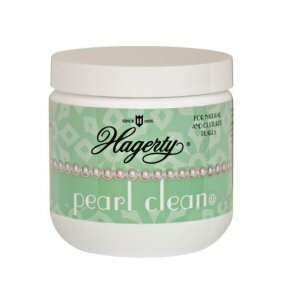 Hagerty Pearl Clean (Wide-mouth opening, basket & brush included) - Case of 12 - 7 fl. oz. ea. 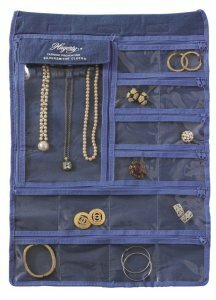 Hagerty Jewelry Keeper (35 zippered pockets) - Case of 6 - 15" x 21.5" ea. 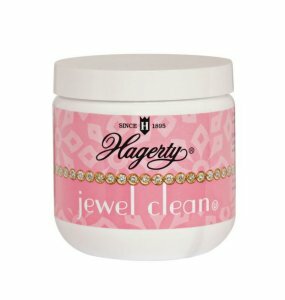 Hagerty Jewel Clean (Basket & Brush included) - Case of 24 - 3.5 fl. oz. ea. 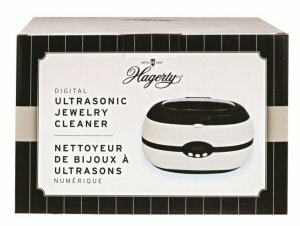 Hagerty Jewel Clean (Basket & Brush included) - Case of 12 - 7 fl. oz. ea. 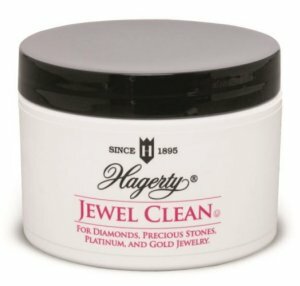 Hagerty Jewel Clean Concentrate (.5 oz. concentrate sachets, basket & brush included) - Case of 12 - Makes 7 fl. oz. ea. 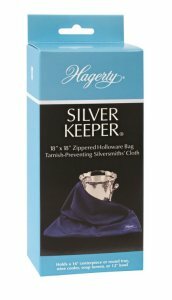 Hagerty Silver Clean (Crystal Blue Formulation, Basket Included) - Case of 12 - 7 fl. oz. ea. 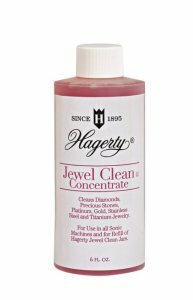 Hagerty Pearl Clean (for pearls & porous stones, etc., basket included) - Case of 12 - 7 fl. oz. ea. 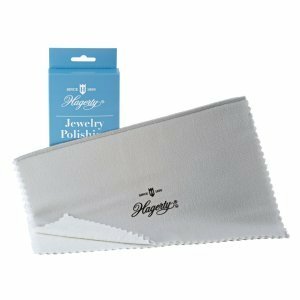 Hagerty Jewelry Polishing Cloth (2 pc.) 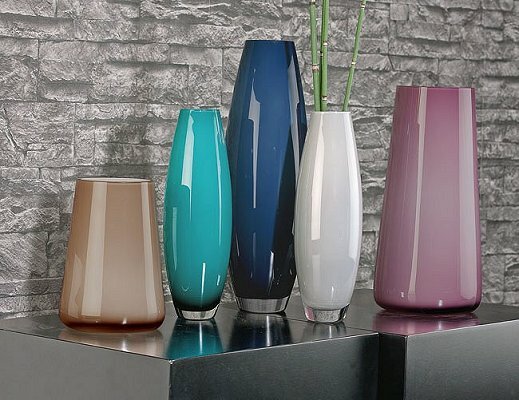 - Case of 12 - 12" x 15" ea. 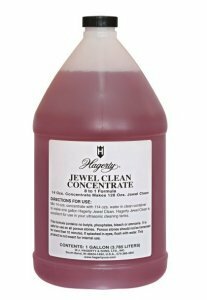 Hagerty Jewel Clean Concentrate (8:1 ammoniated mix) - Case of 4 - 1 gallon ea. 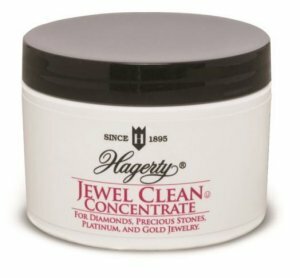 Hagerty Jewel Clean Concentrate (8:1 non-ammoniated mix) - Case of 1 - 1 gallon ea. Hagerty Sonic Jewel Concentrate (5:1 ammoniated mix) - Case of 12 - 6 fl. oz. ea. 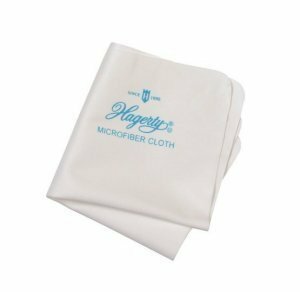 Hagerty Diamond & Gem Care Cloth (non-treated micro fiber) - Case of Bulk - 8" x 8" ea. 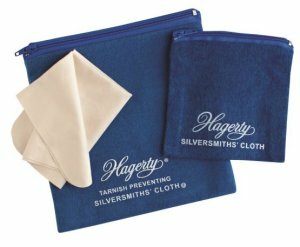 Hagerty Lasting Impressions Jewelry Polishing Cloth - Case of 150 - 6" x 8" ea. Hagerty Silver & Gold Zippered Jewelry Keeper - Case - 4" x 4" ea. Hagerty 3 Pc. 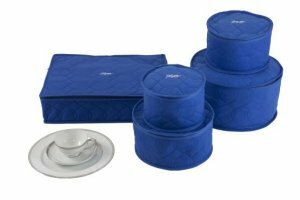 Forever New Silver Jewelry Storage Kit (Includes microfiber cloth, 4" x 4" & 6" x 6" Zippered Jewelry Keeper), - Case of 12 - 3 pieces ea. 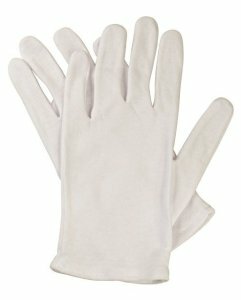 Hagerty Jewelry Handling Gloves (non-treated) - Case of 24 - 1 pair ea. Hagerty Ornament Keeper - Case of 12 - 5" x 5" ea. 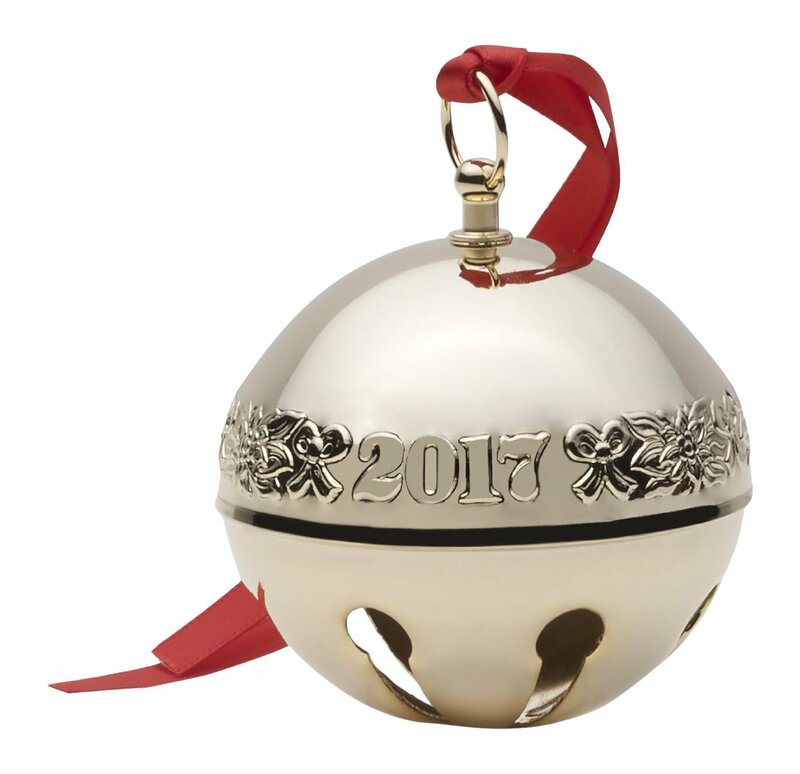 Hagerty Ornament Keeper - Case of 12 - 6" x 6" ea. 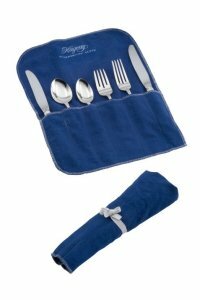 Hagerty Flatware Bag - Case of 12 - 4" x 12" ea. 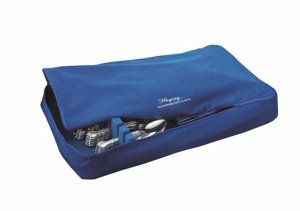 Hagerty Zippered Flatware Bag - Case of 12 - 6" x 6" ea. 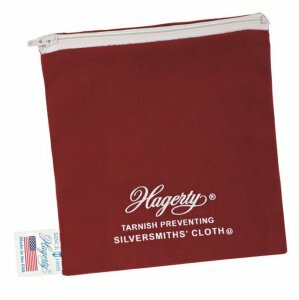 Hagerty Zippered Flatware Bag - Case of 12 - 9" x 12" ea. Hagerty Zippered Flatware Bag - Case of 12 - 15" x 15" ea. Hagerty Zippered Flatware Bag - Case of 12 - 18" x 18" ea. Hagerty Zippered Flatware Bag - Case of 6 - 24" x 30" ea. 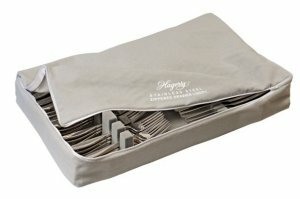 Hagerty Zippered Drawer Liner (Holds Up To 120 Pcs.) 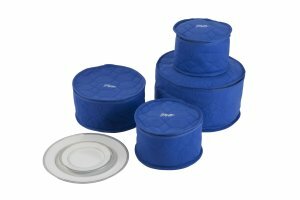 - Case of 4 - 12" x 19" ea. 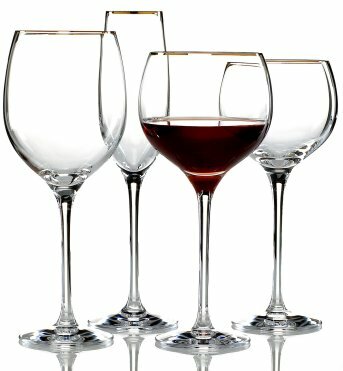 Hagerty Stemware Saver (Stores 12 pieces) - Case of 12 - 15.5" x 12" x 10" ea. 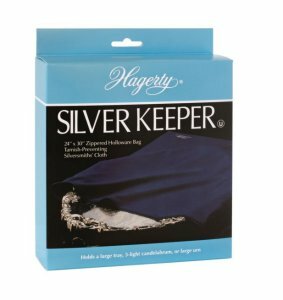 Hagerty Table Leaf Storage Bag (Zippered, 100% grey cotton) - Case of 6 - 25" x 54" ea. 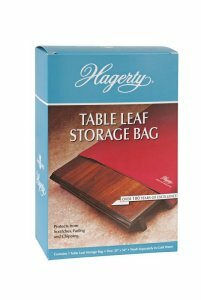 Hagerty Table Leaf Storage Bag (Zippered, 100% grey cotton) - Case of 6 - 35" x 59" ea. Hagerty Zippered Stainless Drawer Liner (Holds Up To 120 Pcs.) 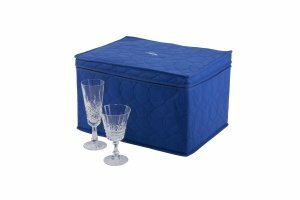 - Case of 4 - 12" x 19" ea. 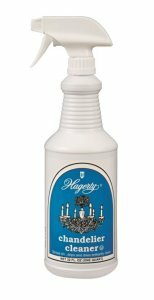 Hagerty Chandelier Cleaner - Case of 12 - 16 fl. oz. ea. 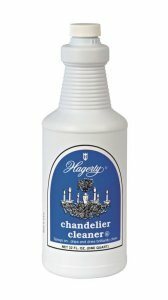 Hagerty Chandelier Cleaner - Case of 6 - 32 fl. oz. ea. 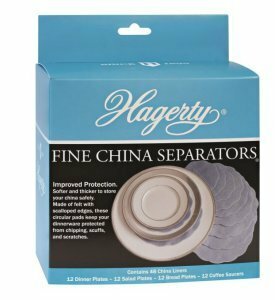 Hagerty Chandelier Cleaner Refill - Case of 6 - 32 fl. oz. ea. 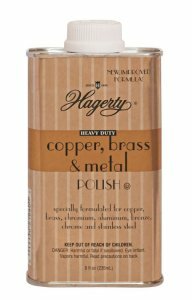 Hagerty Heavy Duty Copper, Brass & Metal Polish - Case of 12 - 8 fl. oz. ea. 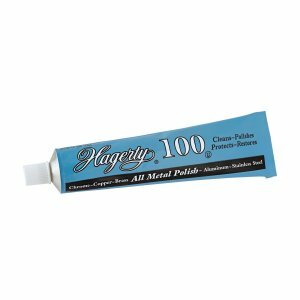 Hagerty Hagerty 100 All Metal Polish - Case of 12 - 4 oz. ea. 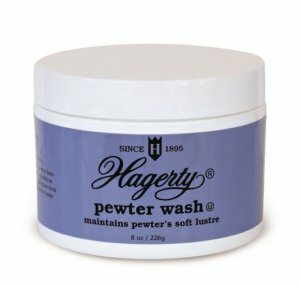 Hagerty Pewter Wash (Wide-mouth opening) - Case of 12 - 8 oz. ea. 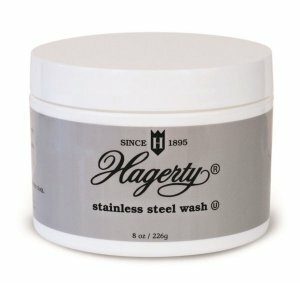 Hagerty Stainless Steel Wash (Wide-mouth opening) - Case of 12 - 8 oz. ea. 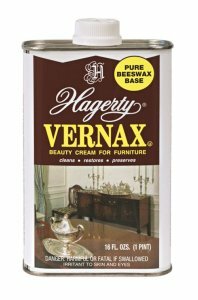 Hagerty Vernax Furniture Polish (Pure beeswax based cream for furniture) - Case of 6 - 16 fl. oz. ea. 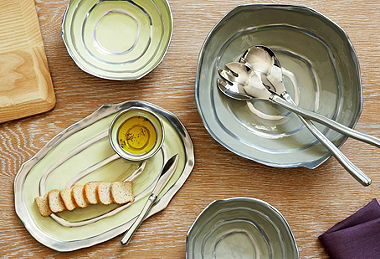 Hagerty Silversmiths' Polish - 4 fl. oz. 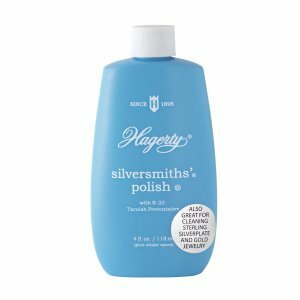 Hagerty Silversmiths' Polish - 8 fl. oz. 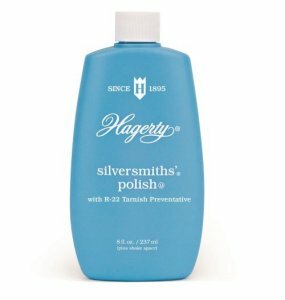 Hagerty Silversmiths' Polish - 12 fl. oz. 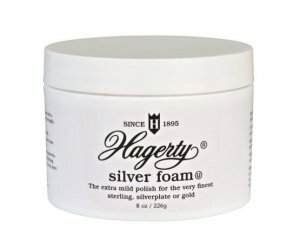 Hagerty Silver Foam - 4 fl. oz. 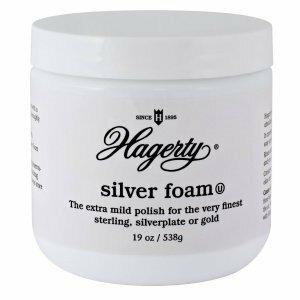 Hagerty Silver Foam - 8 oz.